Home » IoT » The CIO of Everything! Technologists are today’s explorers and inventors who venture into diverse digital frontiers. IoT has become one of the most hyped terminologies across business and technology. Some may call it “the next frontier” in the digital revolution. In this revolution, a myriad of objects and devices such as smartphones, laptops, vending machines, jet engines, cars, and many more will be connected to each other. Internet of Things, overall, will have a huge impact on the economy as enterprises will transform from traditional to digital businesses facilitating new business models, improved efficiency, and increase employee and customer engagement. This encourages companies to redefine the role of CIOs, “the CIO of Everything,” who will be able to adapt to the new vision and make decisions based on IoT solutions. CIOs need to step up and lead the IoT initiative for both short and long term progress. Furthermore, they will need to decide the additional resources with particular skills they will need as they grow enterprise’s IoT efforts. CIOs leading this initiative must create a virtual room where the team can focus, contribute their opinions, and develop better ideas to unfold the future. 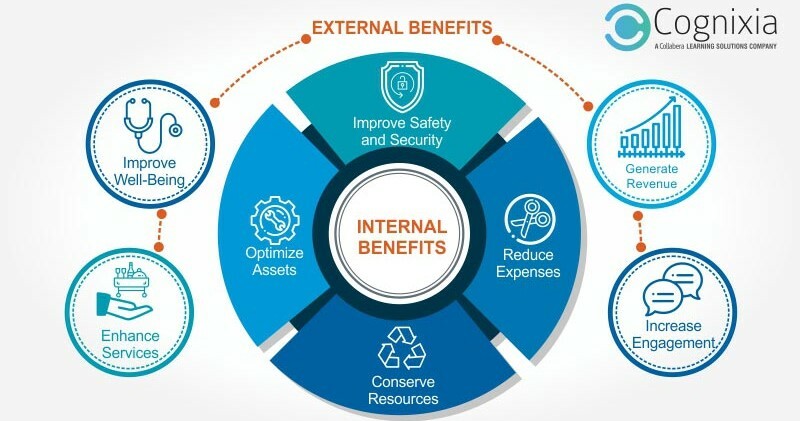 This will consist of a team of employees with a business mindset and technology mindset to devise a situation, establish the possible outcomes, and thereby, create an IoT strategy to direct the top management and C-level executives towards a vision of how the business can leverage Internet of Things solution in the best possible ways. 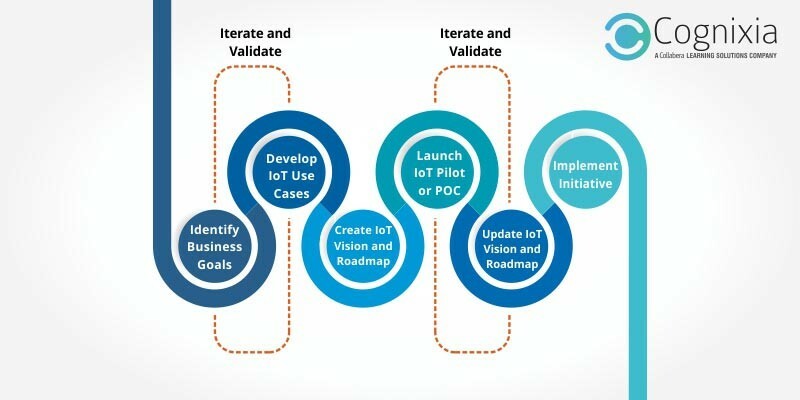 This IoT strategy will be a roadmap for employees working on IoT projects that are designed to have specific qualities and to be as dynamic as the IoT architecture itself. It will radically keep updating as the IoT technologies and products evolve. The best way to plan for the best outcomes is to first map out the best practices for getting an IoT initiative off the ground. The diagram below shows a process of mapping IoT project. Most enterprises are not aware of IoT technology; it’s usage in the business, and the advantages to the business. On the other hand, enterprises with plans for IoT will have different approaches to implementing IoT from different angles with arising concerns over who will be leading IoT initiative. Enterprises need to define newer roles like IoT architects, enterprise architects, IoT specialist, and the role of CIO in general. As a CIO, you will need to build a dedicated team of IoT experts and encourage more innovation from the start. In IoT team, the employees will need to design, map, read, grow, and maintain the enterprise’s IoT internal and external products. Due to unforeseen demands, it is essential for CIOs to move forward with a team who specializes in entrepreneurial and strategic-thinking skills to be able to work with exceptional levels of complexity. Moreover, this mindset will allow them to predict the opportunities and threats rapidly as industry, market conditions, and technologies change. In order to develop a team of experts, enterprises must focus on training their team on various fields of Internet of Things such as Internet of Things security, Internet of Things with Amazon Web Services, Advanced Internet of Things, Internet of Things Analytics, Internet of Things Security Expert (Master Level).